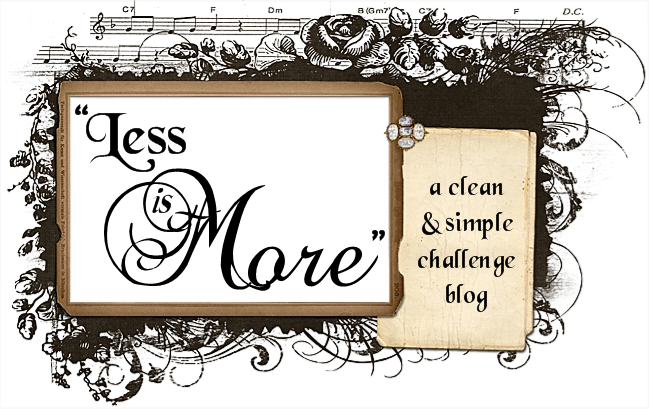 This creation is for the LIM challenge this week which is masking. Well, I have been swooning over the inking styles of Chrissie Stokes, Heather Telford and Theresa Momber for a while. They often involve masking and sponging, brayering or dusting. The incredible talent of the aforementioned inkers has been a little daunting to me. Recently, my dear friend Jenny sent me a wonderful gift of Ink Dusters from the UK. Chrissie had mentioned them in a couple of her fabulous inky posts, and I really wanted to try them. When I saw this week's LIM challenge, I decided to jump in head first. Out came my Ink Dusters and some distress inks, some masking paper, and then I went over to THIS tutorial from Theresa Momber for a little help and confidence boost. This card is the result. Hey! I can do this! I really like the way this turned out, and now I am hooked. Stamps~Penny Black Winter Sky, PTI Lovely Leaves. Ink~Ranger Distress Inks : Barn Door,Spiced Marmalade, Mustard Seed; Memento Tuxedo Black; PTI Chamomile tea dye. Thanks so much for coming by today. Spring has really sprung here in northeastern US. I hope we don't get a freeze now since the flowering trees are all in bloom! Have a lovely day. A beautiful card beautifully done. Absolutely gorgeous. 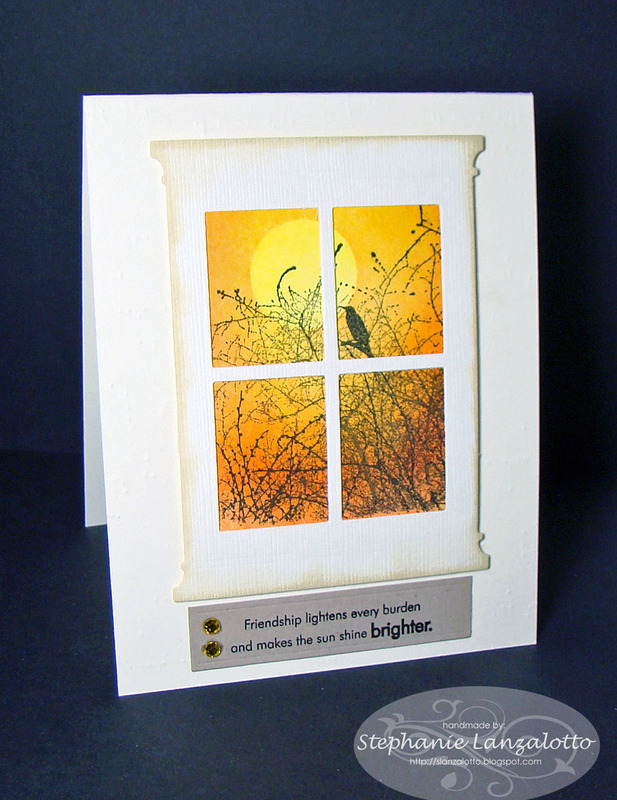 I love that stamp and what you have done with such warm rich colours is fabulous. Love your scene through the window. Great choice of colours and masking. LOVE the scene you've created, Stephanie!!! I have that window die and haven't used it yet...so you've inspired. What on earth are ink dusters? Don't think I've ever heard of them...but if that's what you used for the background...then perhaps I "need" some!! This is absolutely stunning. I love that scene you created. I would love to look out the window to that scene. Absolutely love this card. The scene, the colours it's all fab. Inkdusters have been on my wishlist. I'm flattered by your kind words Stephanie, but this card is the work of a consummate inker! Stunning Stephanie you'd swear your scene was backlit!! WOW! This is such a clever idea and your inking is incredible! 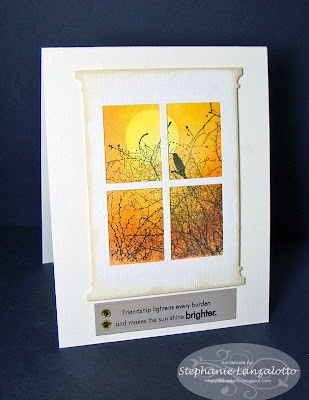 A wonderful sunset scene, and a superb diecut frame - what a fabulous idea to view the scene through the window. Gorgeous colours and "dusting"! Stunning image and colour choice. Given it's your first go with the Ink Dusters as well, it's all the more impressive! Wow! What a really beautiful window scene!! !